On the Antwerp Meir you can find a genuine palace. 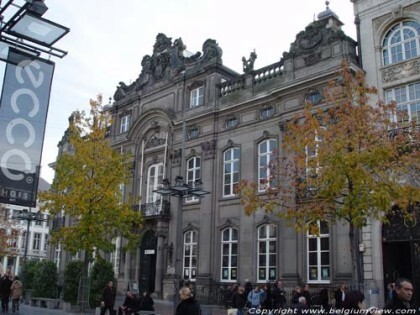 The originally 18th century building used to be the residence of important rulers such as Napoleon Bonaparte, Willem I of the Netherlands and the Belgian Royal House. Nowadays you can enjoy a historical visit, have a luxurious lunch at Café Imperial and taste the delicious pralines of Dominique Persoone. You can also shop for stylish furniture at Flamant. The Palace on the Meir is no doubt one of the prettiest buildings of the city! A gorgeous location as the Palace on the Meir deserves an ever so stylish ambassadress, of course. Therefore the one and only Astrid Bryan was crowned as “Princess Astrid The First of the Palace on the Meir”. Amazing! For one year, she will be promoting this lovely piece of Antwerp heritage and give acte-de-présence at events, expositions and official openings. The palace couldn’t wish for a more beautiful princess! Further information via info@paleisopdemeir.be or by telephone.